Located in Hendersonville, NC, New Pointe Builders’ focus is to create fine custom homes in Western North Carolina. Extraordinary craftsmanship with attention to detail is our company signature. Homes that fulfill the owner’s dreams are our desire. You will find our homes in some of the area’s finest communities, including Kenmure, Trenholm, Teneriffe, Claremont, Kingcrest, The Wilson Farm, Laurel Park, and Mills River. N.P. Builders (doing business as New Pointe Builders) holds an “Unlimited” North Carolina Building Contractors License. We have been licensed and in business for over 25 consecutive years doing only residential work in the same area. We work closely with the clients to design a project to fit their budget and needs. We like to build relationships as well as dreams with our clients. Cove Creek Construction, Incorporated has one mission: To combine quality construction with the best customer satisfaction in Western North Carolina. Cove Creek Construction specializes in all phases of residential remodeling, such as whole house remodels, additions, decks, repair and maintenance, garages, carports, kitchens, baths, and workshops. 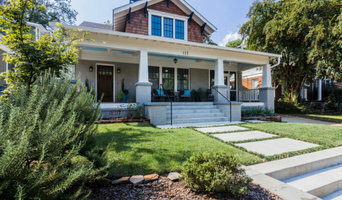 Most customers are upgrading their houses to give it that special warmth of a home, enlarging to accommodate growing families, or expanding their outside living areas with decks or patios. Keith Smith knows about dreams. With over 45 years of experience and more than 700 homes built and countless remodeling projects you can count on Keith and his team to create your dream project with exceptional craftsmanship. Keith treats all his projects with the utmost of importance. Keith will work with you from the very beginning of ideas on paper and until the finest of details is attended to. Every detail – from the very beginning until the end will be handled with you and your family’s specific needs in mind. Through professional project management and a focus on clear communication, Alair Homes Clemson makes building a custom home or remodeling your current house an engaging and memorable experience. Our general contracting team focuses on your vision and goals, sitting down to talk to you so you have opportunities to share your ideas. Then, we offer experienced, professional guidance and use our reputation as leverage to secure incredible discounts on everything it takes to build your home. Throughout the process, we encourage your input and ensure you remain informed and involved. Evergreen is a family owned home building company specializing in the construction of high quality custom homes and renovations. Located in Greenville SC, we currently perform work in the Upstate of SC and Western NC. At Evergreen, we have worked hard to carve out a niche for ourselves. Our construction projects focus on homes in the range of 2500 to 5500 square feet. Many of our customers are from out-of-state, so effective communication is fundamental. Our system for keeping the customer informed, has been successful and has played a large role in the positive relationships that we have built with our clientele. In fact, because of the great rapport we have with our clients, we have had the opportunity to build more than one home for several clients. In addition, we have received the highest compliment from many of our clients, a referral. We believe that to build a high quality custom home, every aspect of the project deserves the utmost attention. Therefore, we are considered to be a full service custom builder, meaning we can take you from concept, through design, to completion of your new home or renovation. Each home and project we do is different, and we like to know every detail of each project before we start construction. This saves us time and the clients money. We understand how important not only the construction aspect is, but also the operational and budgeting aspects. We use the most current technology to follow the project from an operational and budgetary aspect. This allows us to share that information with you almost daily. And remember each of the limited number of homes we build annually is personally overseen by an owner of the company. 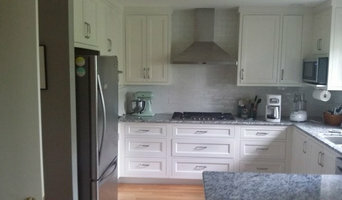 This provides another layer of professional detail and ultimately results in a higher quality home. Evergreen prides itself in being a full service homebuilder. From designing your home with the architect to picking color and finish details with our on staff designers, our employees can help you every step of the way. If you are planning on building a new home or upgrading your current home, we invite you to see what makes Evergreen an excellent choice for you. The Experience Design Program at Harvard University gave Susan insight to what she had been doing naturally for decades. Our environments matter to our wellbeing. Bridging the Intuitive, Experiential & Aesthetic Realms, Susan is able to achieve unique results for her Clients that create Sanctuaries personalized to individual Client requirements. Awareness of Feng-Shui, composition, viewpoints, placements, materials and energetic arrangements have affected our environments for centuries. Our environments have the ability to inspire us as well as nurture us – fabulous opportunity when we LIVE in it. More than 30 years in the Design & Construction Industries. Architecture 224 LLC is a small design oriented firm oriented toward transitional and contemporary architecture. Openness, natural night and simplicity are guiding principles. Currently we are not accepting new clients for design work, as a result of a career shift into the joy of teaching architecture to a group of extremely talented Greenville County high school students. It has been a pleasure to practice and work with so many beautiful people on making their homes fit their lives. Perhaps I'll shift back to a full-time practice again, and I'll let you know when I do! And I still measure success in terms of happiness. 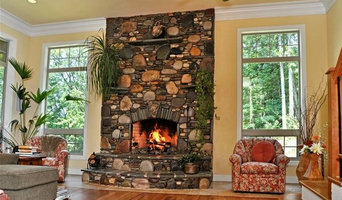 Cobblestone Homes offers a new approach to homebuilding in the Greenville, SC area. Whether you choose a home from our Signature Series, come with your own plan, or want to start from scratch, our designers will make sure that everything is exactly the way you want it, and that you are getting the most out of your budget. We pride ourselves on relationship building and customer service. Cobblestone Homes is a custom home builder that you can trust to bring you the perfect custom home, whatever your needs, tastes, or budget. Ferguson Builders is a full service building and remodeling company serving the Upstate of South Carolina.